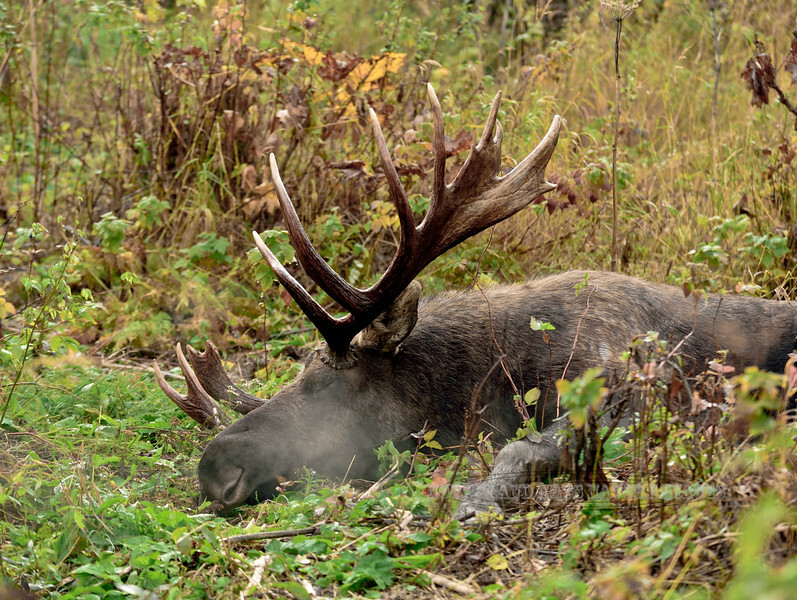 M-2016.10.1-Moose, Alaskan. A bull that had taken over a small group of cows at the height of the estrus period and is obviously a little worn out. Anchorage, Alaska. 101.027.